May 2015 has come and gone.. 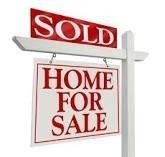 It's the unofficial start of summer and the end of the spring selling season. So what how did the real estate market perform for Portola Hills? During May 15 homes closed escrow in Portola Hills that is up from 9 in 2014. The average sell price for 2015 was $618,679 up from $528,833. This makes the average sales price up 15% from 2014. An interesting note as well is the days on the market. The average days on the market for this last month was 46 days down from 67 days, a 30% decrease in the days on the market. What is interesting the overall inventory 2014 was slightly less then it is today, which should have indicated less days on the market. However what it shows is the market today is Hot, Hot, Hot! Homebuyers are ready to buy, but inventory is extremely low, thus pushing up prices. If you want to take advantage of the strong market as these home sellers NOW is the time to list your home. Let Kelly Turbeville show you the trend we typically see from June on and how this affects your listing power.